Once you have purchased AliDropship plugin and decided on your niche, you need to find a domain name for your future web store using such platform as GoDaddy, for example. If the domain name you want to have is already used, registrars will offer a similar one. Choose a name, add it to your cart and make the payment. The next thing you need to do is to find a reliable and high-performance hosting provider which meets certain requirements: php 5.6 or higher and ionCube Loader . You can consider hosting your website with AliDropship as this hosting solution is perfectly optimized for the plugin and includes free SSL certificate. 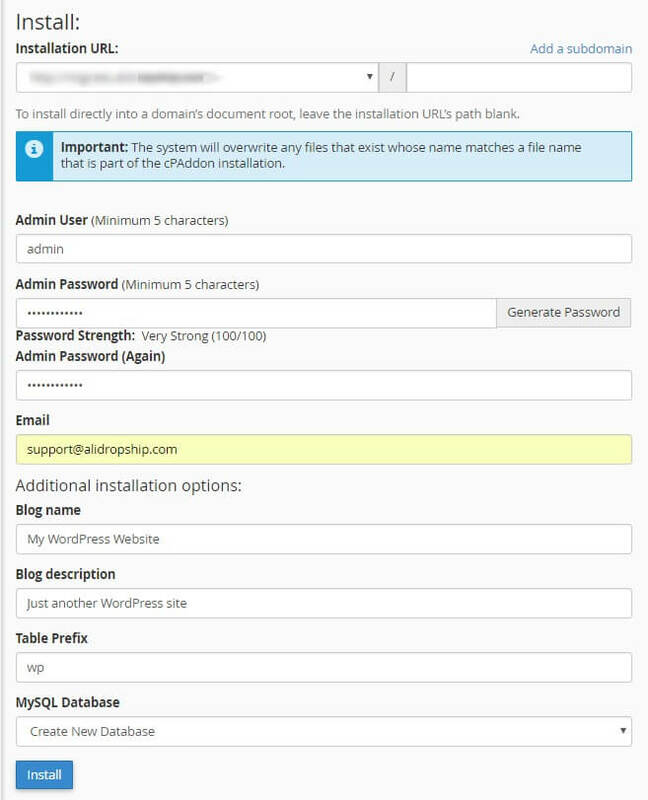 AliDropship plugin is a WordPress plugin, so you need CMS WordPress to be installed in your cPanel. There are two ways to do it: automatic and manual. 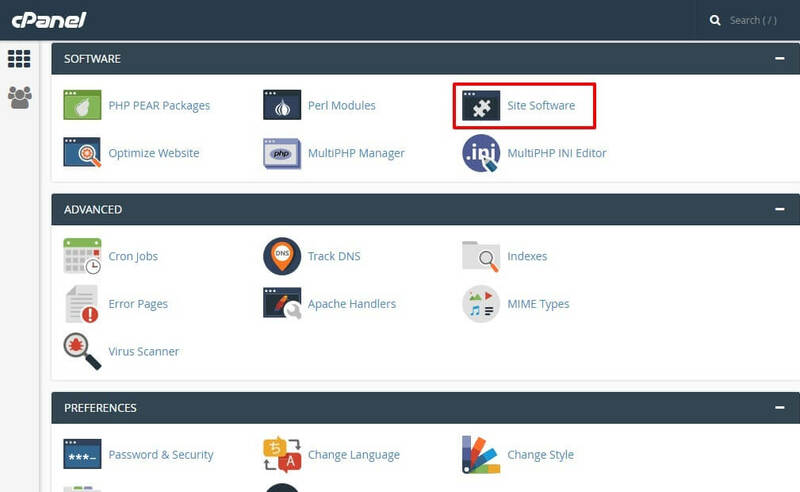 Enter your cPanel and go to Software => Site Software and click WordPress link. Here you can choose your Installation URL (to install directly into a domain’s document root, leave the installation URL’s path blank), type in your admin username, create or generate password and add your email address. To edit your website title, please fill in Blog name and Blog description fields. To finish the installation process, click Install. At the bottom of the page there is an option of uninstalling CMS WP available as well. After the installation is complete, you will receive your WP login credentials. If you want to install WordPress on your cPanel manually, download WP file from https://wordpress.org and follow further instructions provided by your hosting provider. As soon as you have a domain name, hosting and WP installed, you can install WooCommerce on your website. Log in to your WP account with the provided access details. To get started, first go to Plugins tab in your WordPress admin area. Click Add new button and type in “WooCommerce” into the search field. Press Install Now button. Once you have installed WooCommerce, you need to install AliDropship Woo plugin. Go to Plugins and click Add New => Upload Plugin, choose a file to upload, and click Install now. The plugin will be installed from the uploaded file. Now you can activate the plugin. 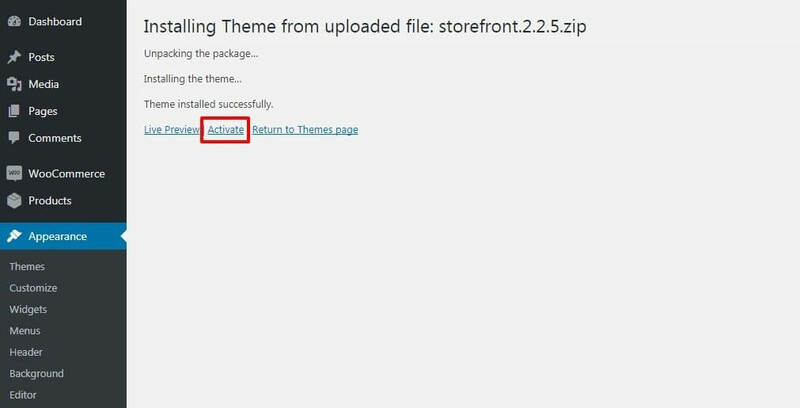 After the plugin is installed, go to Appearance => Themes and Add new theme. AliDropship Woo plugin supports standard Woo themes, it is incompatible with AliDropship built-in themes. You may download one of the offered themes or choose another standard Woo theme. Click Activate to activate the theme. Proceed to AliDropship Woo to enter your licence key. Your personal license key is valid for one website/domain name. But if you decide to create another webstore in future, your license can be deactivated on your current store and activated on another one for free.